Click play to start the video below. Prevedere provides industry insights through our social channels. Please follow us and send us a message. 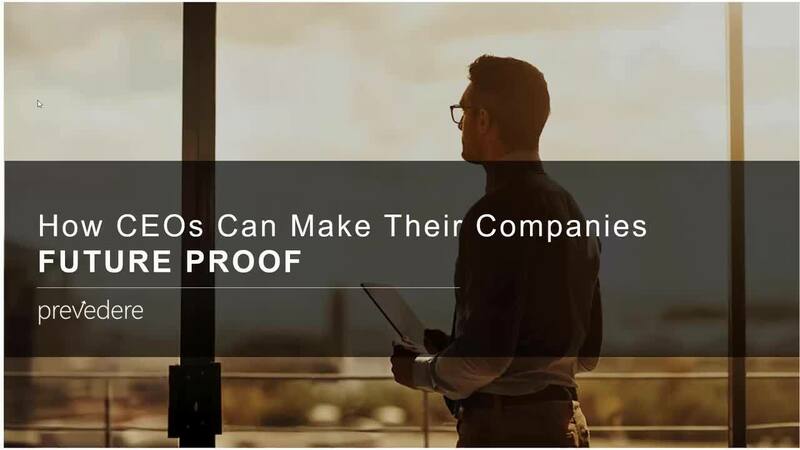 Prevedere recently released a report where business and IT leaders were asked to rank their company’s ability to answer critical decisions. More than half of respondents said they were satisfied with their company’s ability to make critical decisions with the right data at the right time. Yet over 60% responded that their biggest challenges were not having the right tools, the right data, or the ability to understand external drivers to their business. In this webinar, Ed Robinson, former CEO of BMW Financial Services, shares his leadership experience and sheds light on the findings. He also provides key takeaways for executives and board members to help think beyond the four walls of their organization. Ed Robinson is an experienced CEO with a demonstrated history of working in the automotive and financial services industry. Mr. Robinson was CEO of BMW Financial Services, managing over $45B in assets and supporting brands such as BMW, MINI, BMW Motorcycles, Rolls Royce and Husqvarna Motorcycles. His prior experience includes EVP and COO of BMW North America and CEO of BMW Canada. Mr. Robinson is an active member of the tech community as he provides senior advisory services to high growth predictive analytics and online finance companies. Prevedere is an industry insight and predictive analytics company, helping business leaders make better decisions by providing a real-time view of their company’s future. Our external real-time insights engine constantly monitors the world’s data, identifying future threats or opportunities to business performance. Along with a team of industry experts, data scientist, and economists, Prevedere helps business leaders make the right decisions in an ever-changing world.